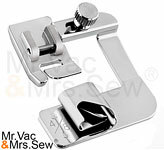 Free Shipping on this Sewing Foot Kit! 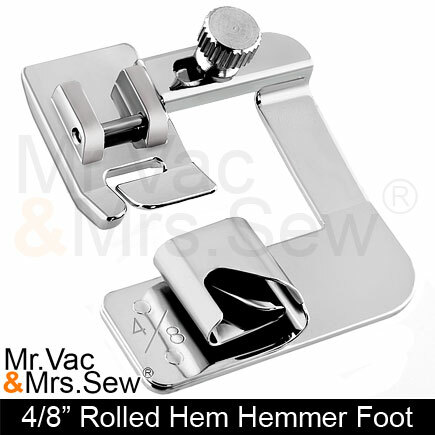 The Distinctive 4-8", 6-8" and 8-8" Wide Rolled Hem 3-Piece Hemmer Sewing Foot Package will dazzle and amaze you with it's amazing capabilities. 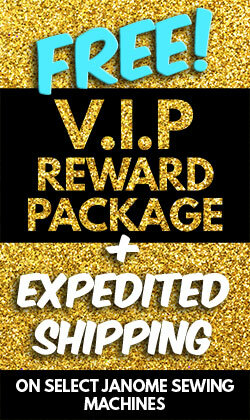 This package should retail for over $80, but can be yours for only $39.99. 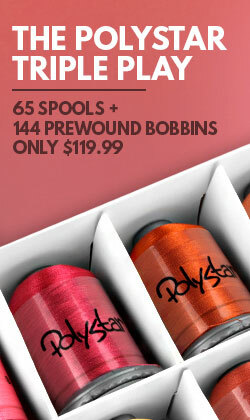 Start sewing with only the best, Distinctive Premium Sewing Feet. Have you ever seen a Rolled Hem Foot capable of making Hems this large? The Distinctive 8/8" Rolled Hem Foot you can add strikingly large and beautiful rolled hems to your projects. 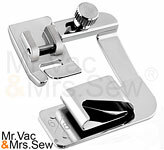 Until now most sewing machine owners have been limited to only 6mm, but now thanks to Distinctive Premium Sewing Feet, you can create a rolled hem over 25mm! These feet will dazzle and amaze you with this amazing capabilities. 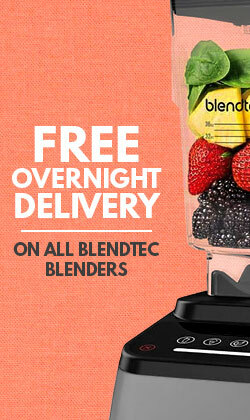 Also included in this Package is a Distinctive 6/8" Rolled Hem Foot. 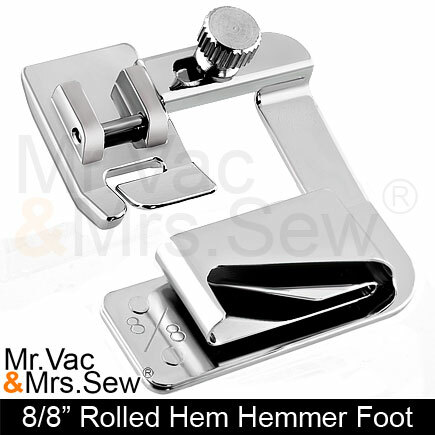 Create beautiful rolled hems that are over 19mm wide with this amazing foot. 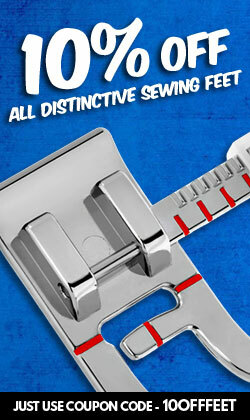 Distinctive Premium Sewing Feet stand out from the rest with their amazing products and quality. 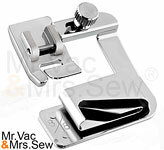 Also included in this Package is a Distinctive 4/8" Rolled Hem Foot. 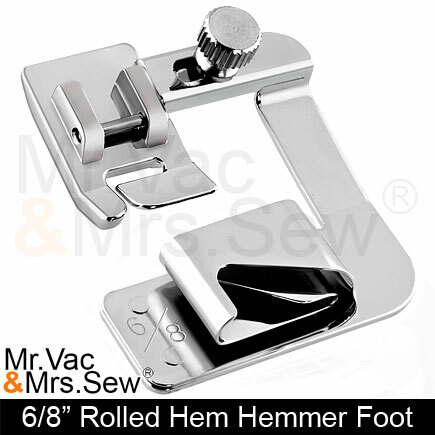 Create beautiful rolled hems that are over 12mm wide with this amazing foot. 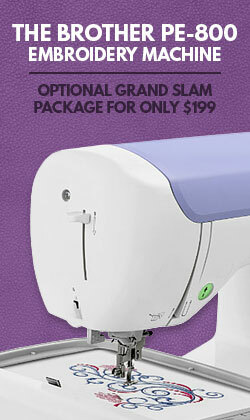 Imagine finishing your projects with an even, large rolled hem. 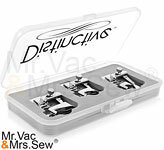 All of the feet found in the Distinctive 3-Piece Hemmer Sewing Foot Package are stored in Distinctive's Deluxe Sewing Foot Case. 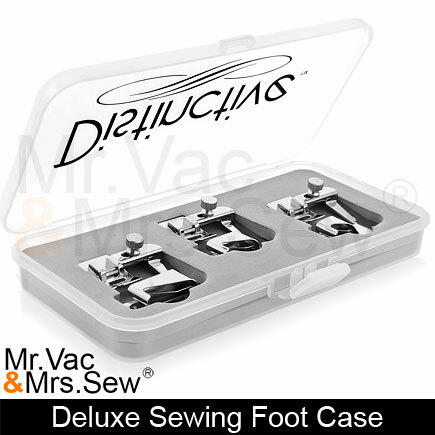 Never worry about losing any of your feet because they all fit right in the Deluxe Sewing Foot Case! To make sure your feet do not rattle or roll around in the case, the case has Custom Fitted Foam for each individual foot. This helps keep your feet organized and allows you to see if any of your feet are missing at a glance. 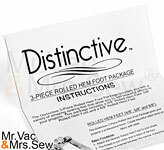 The Distinctive 3-Piece Hemmer Sewing Foot Package comes packed with instructions to help you better understand how to use each and every foot in the package. I called to verify that this set would be compatible with my 37 yr old low shank Kenmore when using the low shank adapter. 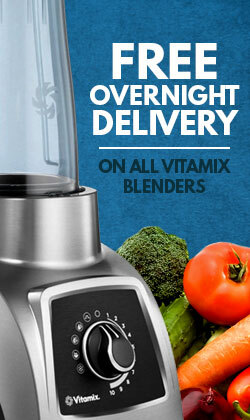 Their service department was able to confirm this so I took the chance and ordered it. It Attaches to the low shank adapter beautifully and fits perfectly! I am able to use them but must practice and learn how to use these magical performance feet efficiently. Unfortunately, I find that the smaller sizes can only be used on finer fabrics.They will not work on the thicker satins. (I have not yet tested thicker fabrics on the 4-8 [1/2"] & 8-8 [1"] Hopefully, with practice my hems will improve. 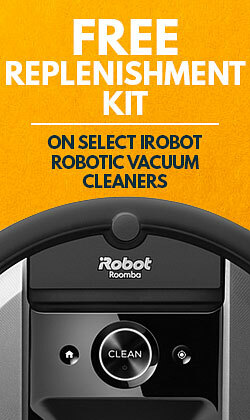 I rate this 4* because they are bulky units and are made of quite this metal.